It's 1st versus 2nd as Africa United v Mediterranean-Middle East prepare to go head to head tomorrow afternoon. 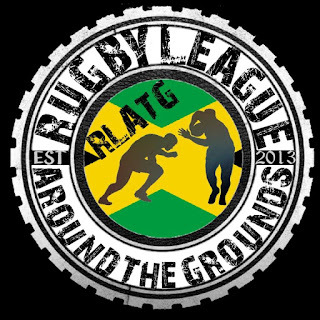 Africa United impressing in their first Emerging Nations outing and picking up a 28-20 win over Asean Rugby League, Mediterranean-Middle East Rugby League picking up a big win over the Latin Heat 26-12. Africa United showed they are a fast starting side, registering two tries in the first 15 minutes of play to get their tails up and their noses in front, from there they built and sustained pressure to really force the opposition to move the ball around to look for gaps. In particular one of the really impressive sights was United's line speed, their desire to get up and meet the man made it difficult for Asean to make many meaningful metres. Mediterranean-Middle East Rugby League were an unknown entity coming into the weekends fixtures, may tipping a Latin Heat victory by a substantial margin, I'm sure the predictions may be slightly different having seen what this side now have to offer both in attack and defence. It's going to be another fast paced fixture from the competition leaders, Africa United were a pacey team with plenty of fire power up the middle of the park. Mediterranean-Middle East seemed most at home playing to the flanks, two different approaches that brought the same rewards, a win for either side would see them crowned champions of the Regional Championship.